There are certain movies that I’m really surprised I haven’t seen yet. These aren’t movies that stay under the radar or anything, but movies that are well known and loved by audiences. Some of them are even considered classics. What can I say? Nobody’s perfect. I just got around to seeing one of these films that I’d list in these “movies I should have seen already” categories. That film is the 1973 classic by Sidney Lumet, Serpico. I can’t even say I knew what the film was really about. All I knew was that this movie helped form Al Pacino’s career, which is kind of a big deal if I say so myself. After seeing Serpico, I have to say that I didn’t love it. I liked it and it’s certainly a movie I’m not going to forget, but it had major issues that rubbed me the wrong way. Let’s get right into it. All his life, Frank Serpico (Al Pacino) has wanted to be a police officer. When that day finally comes around, it’s a dream come true. Starting out as just a uniformed officer walking the beat, he begins to see signs that life on the force may not be what he expected, especially after seeing a suspect get roughed up in an interrogation room. As time goes on and he begins to adjust, he is bumped up to a plainclothes officer working more dangerous and criminal cases. What he sees is corruption on a massive scale with his coworkers shaking down drug dealers, pimps, and other criminals. Serpico looks everywhere for help, even going so far as to bring his grievances to the mayor. When no one is able to help, the biggest danger for Serpico isn’t the criminals he busts on a day to day basis, but his fellow police officers who feel he can’t be trusted. 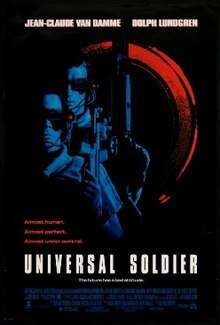 Many people consider this movie a classic, and I believe that because of its impact on the genre. You won’t see any argument from me because my complaints are pretty minor in the grand scheme of things. I want to get the positives out of the way first because they truly do outweigh the negatives. This was a very early film in Al Pacino’s long and praised career, and if it wasn’t for Serpico, he may not have made it as big as he did. Let’s not forget that he was Michael Corleone in The Godfather movies, but this was just another notch in making his career. 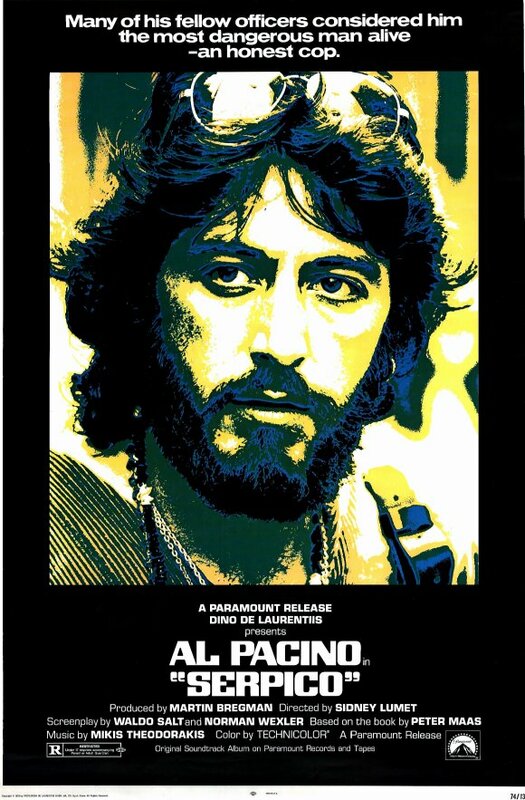 Pacino is excellent as Serpico. 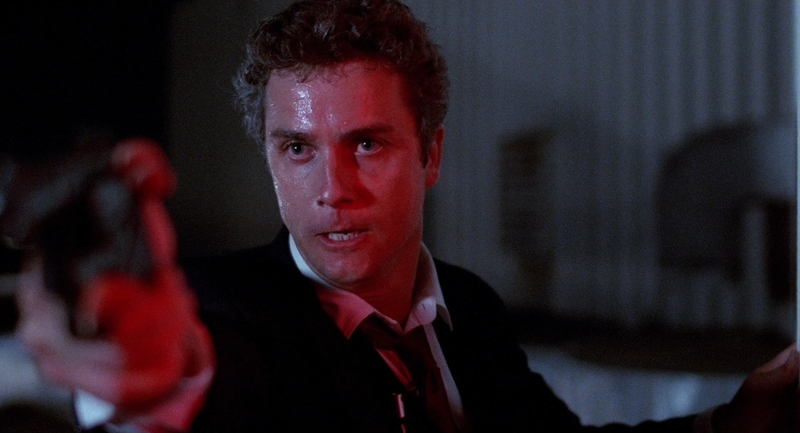 After having spent a lot of time with the real guy, it’s no surprise that he has his voice completely altered and a lot of these mannerisms you don’t really see in other roles that he’s done. This is a complete transformation and a performance that really helped define the times in terms of acting with it being the early 1970s, one of the largest times of change in film since sound was first introduced. The story of Serpico is also incredibly engaging. As the narrative moves forward and Frank’s plight becomes more dire, I actually felt myself getting stressed out. 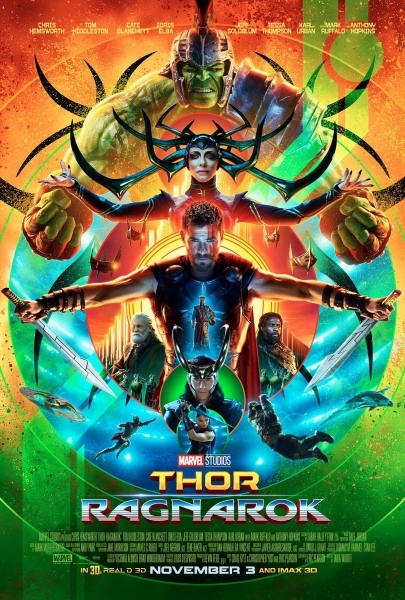 It’s not terribly hard for a movie to have me guessing as to what’s going to happen or feeling some sort of suspense, but this movie made me physically feel stressed. Everywhere Serpico turns, he’s met with a brick wall, and we see that over the span of over two hours. Pacino’s performance and the writing really brings this character to life onscreen, so we as an audience truly want to see him succeed and finally be able to live the life that he’s wanted. Sidney Lumet is a very talented director who is able to turn characters’ environments into characters themselves. Just think of that one room in 12 Angry Men. 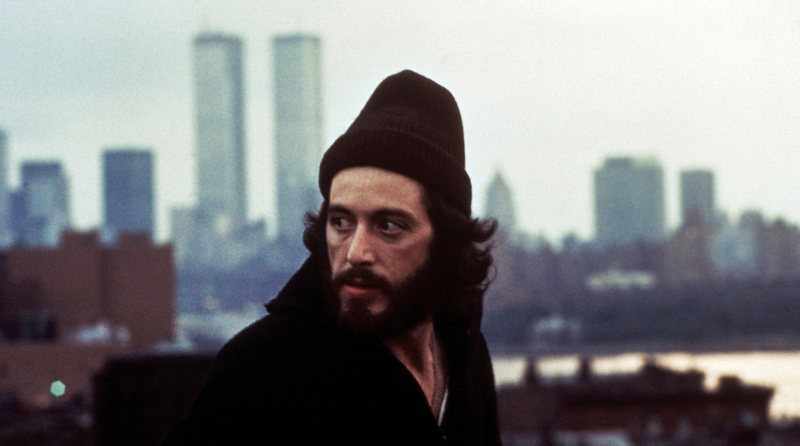 What Lumet does for New York City in Serpico is something on a whole new scale. Having filmed this movie in mostly all of the boroughs of New York City, I saw different aspects of life clash and combine making the city live and breathe. 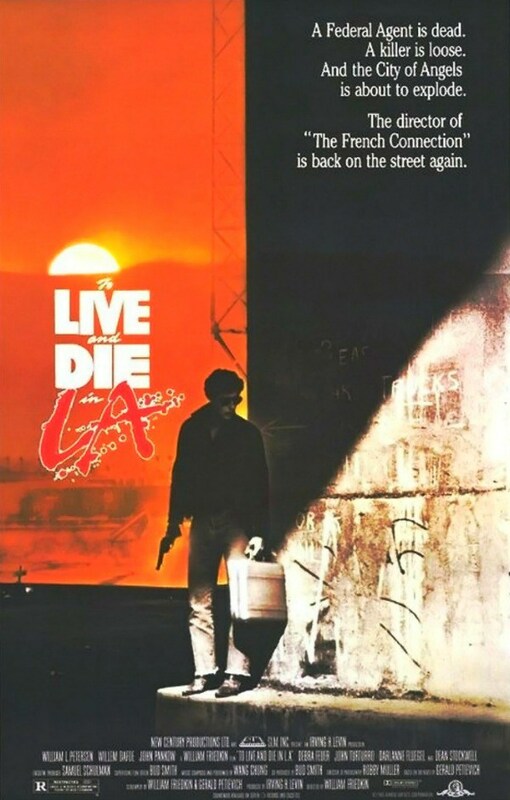 It’s essential to this film’s story and Lumet pulled it off flawlessly. Speaking of flawless, this movie as a whole is not. As I was watching the story play out, I could tell that time was passing. Serpico’s apartment changed furniture, his different friends come and go, and his hair, beard, and clothes change. I figured this was probably a 3 year period. Boy, was I wrong. Serpico‘s story starts in 1960 and spans to 1971! WHAT?! I never got the sense that that was how much time was passing until after the movie was over and I was doing some research on it. 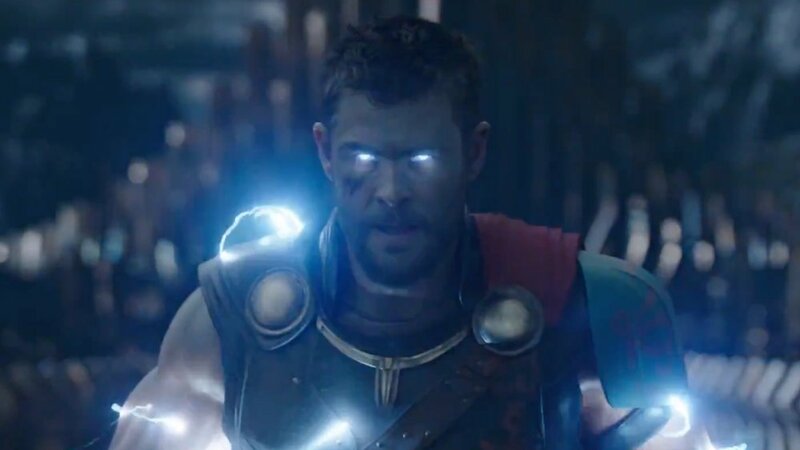 If I had known how long all of this was going on, that would’ve added a whole new layer of dread to the stress I was already feeling for our hero. That being said, how smooth can you turn 11 years into a 2 hour movie? There are elements to Serpico’s life that do feel glazed over, forgotten, or rushed in favor of other interests. This kind of muddles the overall story for me, and I can’t help thinking this may have been better as a miniseries on HBO. Serpico is a very good movie that is full of great elements that is ultimately bogged down by an overabundance of information. Al Pacino’s performance is outstanding and the overall emotional and physical response this film got from me says a lot about the story. Sidney Lumet also films New York City perfectly which brought a whole new sense of realism to the crime drama film. I just wish the story was told a bit more cohesively and smoothly, but instead I felt like I was jumping all over the place without knowing exactly where I landed. Still, Serpico has earned its right to be called a classic, and I’m not going to dispute that. Sergio Leone had a really incredible film making career, even if he didn’t create as much as some other very fine film makers. It’s impossible to ignore how A Fistful of Dollars, For a Few Dollars More, and The Good, the Bad, and the Ugly made a huge impact on the aesthetics of a movie, the western genre, and pop culture as a whole. Leone’s next foray into film happened in 1968 with another classic, Once Upon a Time in the West. Finally, his last piece of work, and arguably his most ambitious, was the gangster epic Once Upon a Time in America. Aren’t these all unmistakable classics? But wait. What’s that movie hiding in between West and America? Why, it’s a pretty unknown movie that has one of the most incredible titles ever. This is, of course, his 1972 film Duck, You Sucker!. 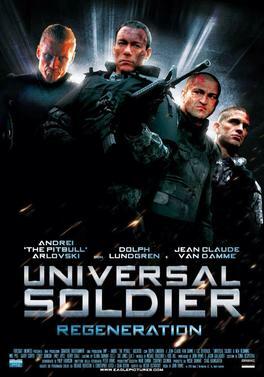 Upon its release, this movie got very little attention and bombed in the United States. It hasn’t really fared much better, and is still Leone’s most unknown film, besides maybe The Colossus at Rhodes. 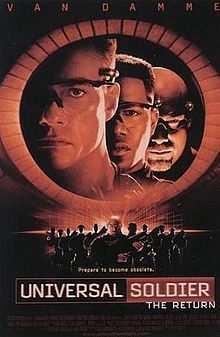 Does this movie deserve to be overlooked? 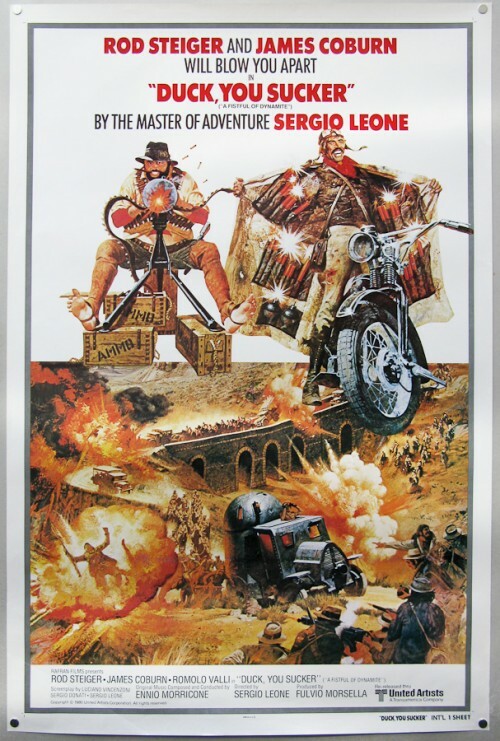 Not at all, but it is Leone’s weakest work in the western genre. In the midst of the Mexican Revolution, people have to do whatever they can to survive. Juan Miranda (Rod Steiger) is a bandit who, along with his family, robs from the wealthy who are making their living off the violence of the revolution. 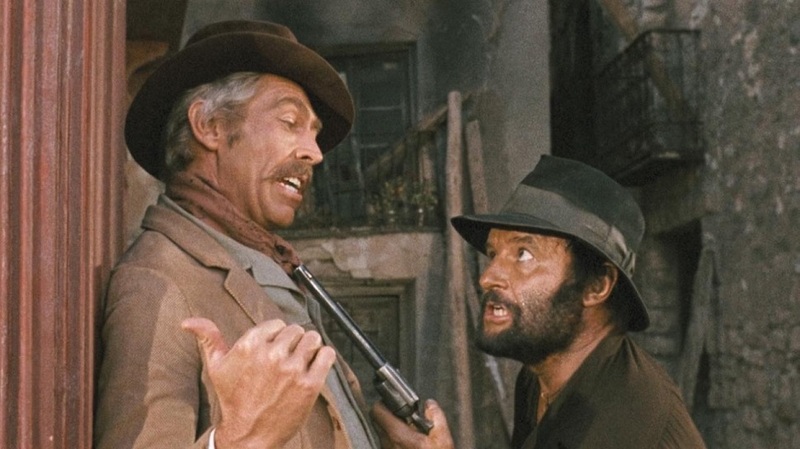 After a successful robbery of a stagecoach, Juan runs into John Mallory (James Coburn), and IRA explosives specialist exiled overseas after a heavy betrayal. Despite being at odds with one another, John is wooed by Juan’s idea to rob the Mesa Verde National Bank. The job seems to go off without a hitch, but things at the bank are not what they seem and the actions of Juan and John plunge them deeper into the world of the revolution. Now on the run from the sadistic Col. Reza (Antoine Saint-John), Juan and John are forced to join up with revolutionaries and help them fight while also reevaluating their own beliefs and moral code. Sergio Leone is a classic example of an epic film maker. He never shied away from making a movie as grand as he possibly could. Duck, You Sucker! is no exception. 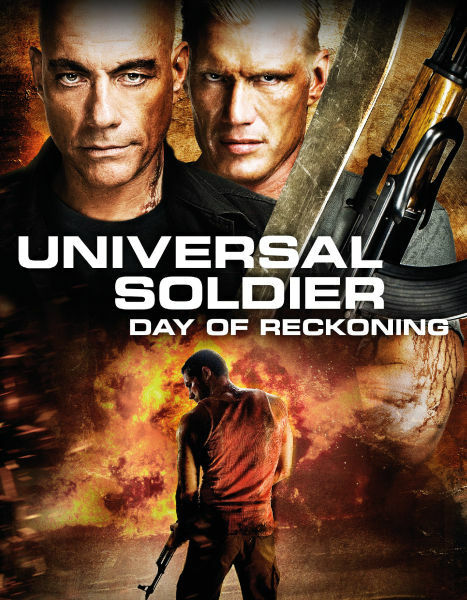 This is huge movie with great set pieces and over the top action sequences that seem to span an entire country. It has the look I’ve come to expect from a Leone movie, which is surprising as to why this one gets so overlooked. There’s a really exciting scene at a bridge where the Mexican army is trying to cross, but John and Juan pick them off using machine guns and dynamite. It was explosive and exciting, and those are the reasons to watch this movie. The idea of having this story set within the Mexican Revolution is also interesting and makes for more epic scenes. Leone stated that he was not trying to offer any political statement, and I agree. It clearly is just showing the horrors of conflict and the effects it can have on the people of that country, especially in a more lower class environment. This makes for an interesting bridge between his more classic Once Upon a Time in the West and his more thoughtful effort with Once Upon a Time in America. There is something that is severely lacking in this movie that is always ever present in Sergio Leone’s best movies. That is the dynamic between good and evil. We see an interesting arc with Juan where his character completely changes his ways, and that’s one of the better parts of Duck, You Sucker!. Unfortunately, Juan and John just aren’t the most exciting heroes, and don’t even come close to matching the Man With No Name. 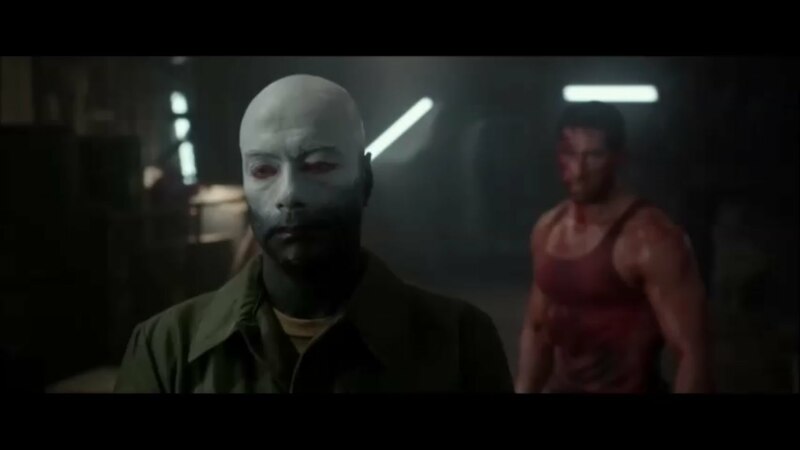 Col. Reza is also a sorry excuse for a villain. He’s in the movie for a matter of minutes and has no real impact until the very end. Remember the showdowns in The Good, the Bad, and the Ugly and Once Upon a Time in the West? Those were outstanding climaxes that featured larger than life representations of good versus evil. Duck, You Sucker! certainly tries to keep that level of energy, but it just doesn’t quite make it. The arcs of the characters are much better than the characters themselves. 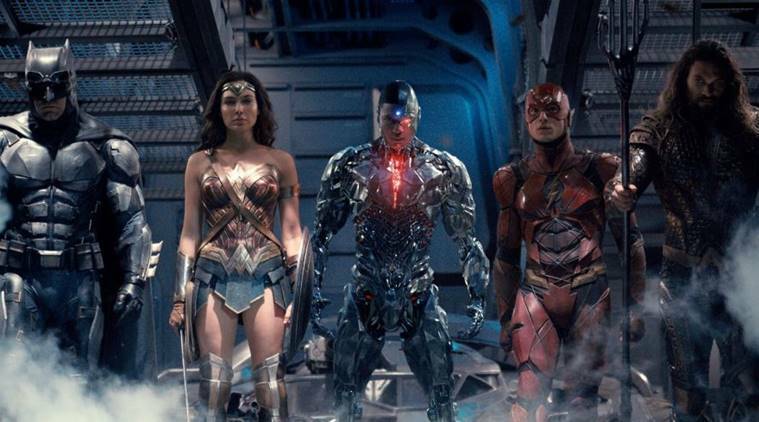 Something you can always count on with these movies however is that they are going to look superb. Duck, You Sucker! has sweeping cinematography of the landscapes that is juxtaposed with the traditional Leone close ups and zooms. Leone knew how to capitalize on the actors’ faces and expressions over dialogue, which is why some of his best scenes just feature the actors using their faces to speak. All of this works in tandem with Ennio Morricone’s always excellent score. Comparing this score to some of his others he did for Leone probably isn’t the best way to go about it, but I’m going to do it anyway. This isn’t one of his strongest and it doesn’t really stay in my head like the others. That being said, while the movies on it heightens the drama and the action considerably which is just what these musical pieces are supposed to do. Duck, You Sucker! is far from being Sergio Leone’s best film, but it’s still a testament to his larger than life and highly artistic film making. It’s story shows an evolution from his simple drifter swoops in to save the day kind of stories and more to an internationally aware tale that showcases morality and change. 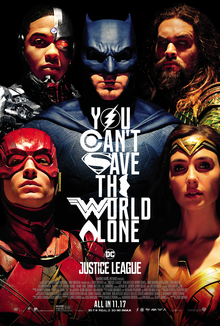 The characters aren’t as exciting as I would have liked them to be, and a lot of this has to do with a lackluster villain. Still, Sergio Leone’s film making and Ennio Morricone’s music is more than enough for any fan of movies to check out this little known entry in Leone’s filmography.